Each year, my students take the MAP (measure of academic progress) test in the fall and then again in the spring. While the test does many fancy things, I use it to determine what grade level my students are coming to me on and tailor my instruction before I learn about their struggles organically. This year, I had students who fell in the second grade range. As a sixth grade teacher, this …ahem … is not so great. This takes the idea of a multi-level class to a whole new level. Though not ideal, as teachers, we play the hand we’re dealt which means it is now my job to make sure that these students are successful. You cannot control where they came from, but you can control where they are going. The question now is: how do we teach a class of students who are on such different levels in their math journey? 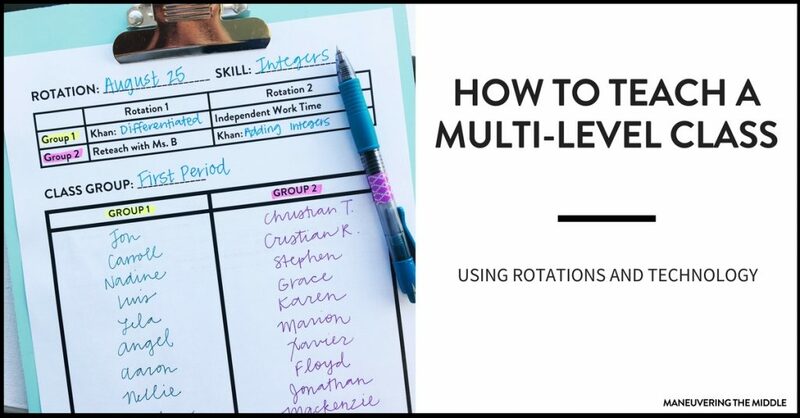 I have outlined a couple of ways to teach in a multi-level class. I mention Khan Academy several times, so if you are looking to start using it in the classroom check out these tips. *Note – This is not an exhaustive list of ways to scaffold or differentiate instruction. These ideas also apply to working with above level students with some minor modifications. Break students into two groups. Create homogeneous groups – one group of students who are on level or close to being on level and one group of students who are below grade level. *Note 2 : Anytime you are splitting middle school age students up, make sure you have the groups already decided. In addition, make sure the names of students and which group they are in is visible to the students – I would create a slide to project. There is no need to read them off. This will save you time and from answering “which group am I in?” approximately 987 times. *Note 3: If you are not a math teacher, I have seen teachers use these same rotations with iStation or quizlet instead of Khan academy. Rotation 1: On level students are on Khan academy or work that they can complete without any help from you. You might even assign them a skill (on Khan Academy) that they have not learned, but is coming up in the coursework, so that by previewing the material, they will be more prepared and even helpful to other students. Below level students are receiving instruction either in an entirely new way, or by using models to make the math more concrete. I usually pick a topic that I think would benefit the most students since I am not able to do rotations every day. What is imperative that they understand in real life? What will help them the most when they go on to the next grade level? What skills are readiness standards verses supporting standards for my state test? 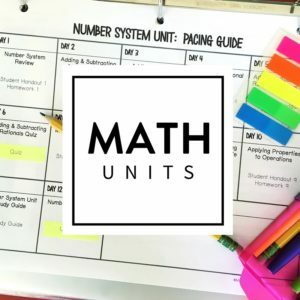 For example, if we have been working on integer operations (they will use this skill for the rest of math/ it definitely is something that you will use in the real world/and it is major work in sixth grade), we might use counters or number line strips. I would also make the lesson super bite sized, so I would break down integer operations to just adding integers. 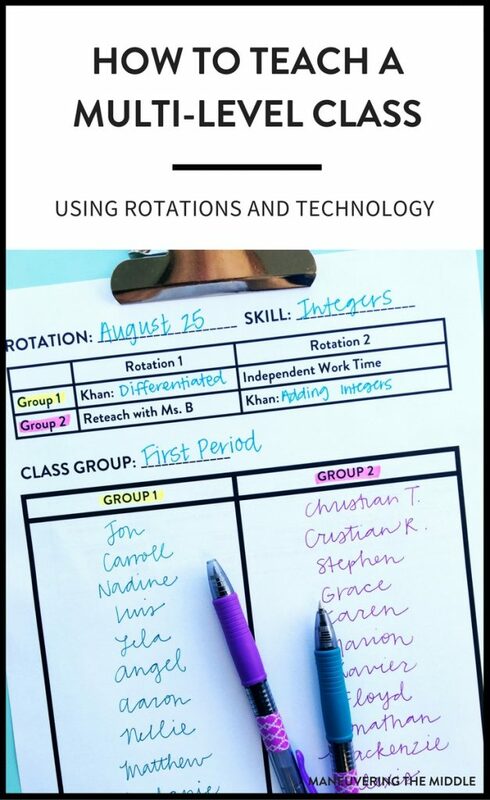 Rotation 2: On level students will move to an extension activity– like hands-on activities, performance tasks, or creating assessment questions. I usually pick an activity that they are familiar with, thus minimizing the need for more directions. Below level students will move to Khan academy where they will practice the skill that I just retaught. 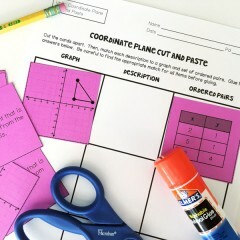 If I don’t have access to computers that day, then students will continue working on that skill using the manipulatives from rotation 1, but with less help from me. They will complete a 4 question exit ticket before leaving class that day, so I can see the progress that is being made. 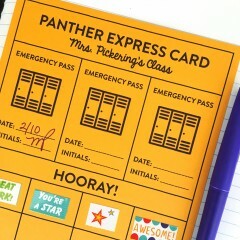 Before the exit ticket though and if the class is still functioning with little chaos, I might pull a small group for students who are still struggling. 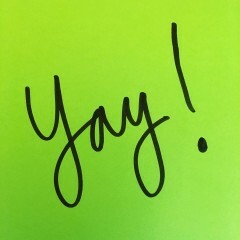 Why It Works: Sometimes when I am reteaching material, I will still only call on the students with their hands in the air. These students got it the first time! These students will also look bored, and I feel like I need to move on. Not only am I not serving the students who needed to be retaught, I am wasting class time. 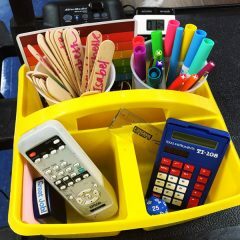 This idea forces me to slow down and just teach the students who need it. Coordinate with your SPED teacher. If you have a class of students, most likely you have a couple of students who are in special education. 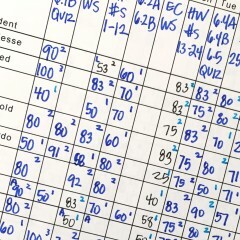 Typically, these students IEP’s require some push in time by their SPED teacher, so use rotations on a day you know she/he will be available to you. This is great because it is awesome to have additional teacher presence, but also because you can group your SPED students together, and the SPED teacher can travel with them to every activity. This will make you more available to students who struggle but are not in Special Education. When there are two teachers in the room, 3 rotations are doable. I would do 3 rotations: skill practice (on or off technology), reteach or mini lesson, and game/activity in partners. This idea is pretty perfect for a block class period. You need at least 90 minutes to execute this rotation. My coteacher taught me this method when I taught high school students in California. Shout out, Ms. Mease! 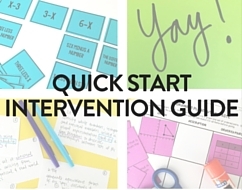 This rotation is a normal lesson cycle – new learning, activity, and exit ticket. We would split the class in two groups. We were flexible on how we did the groups. Sometimes, if we thought the material was going to be really challenging then we created homogeneous groups so that we could go slower with one group, but you could also create heterogeneous groups too since the material is new. Rotation 1: Half of the students are working on Khan academy. This group needs to know exactly what they are working on, so make sure that you assign them recommendations. Because desks were in rows, students would turn their desks around, so you can see their computer screen from the front of the classroom. Half of the students are learning new material from you. The half that is with you will transition to classwork and eventually to an exit ticket. We would spend about 45 minutes in a group. Rotation 2: Students will switch. 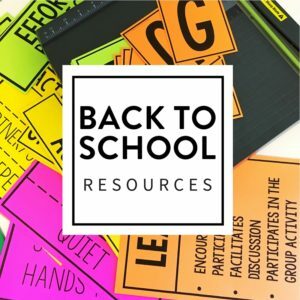 Make sure to allow time for the group of computers to move desks back to the proper position and put away computers before dismissal. Why It Works: It allows for a smaller students to teacher ratio. With only half of the class receiving instruction, students are able to ask more questions and you are able to tailor your instruction to fewer students. Students like technology, so they are invested, and allowing students to listen to music is a great incentive that they can earn. Lastly, it breaks up a block class period and it will go by faster for both you and the students. Differentiating instruction for multi level students is a practice that many experienced teachers are still working on. And remember, rotations are only effective if you have establish strong routines and procedures for them. Have students practice getting up and moving to the next rotation silently and quickly. Also, make sure to utilize a timer! Time WILL get away from you. Great info! I am a 5th grade coteacher. The sped teacher and I are in the room all day. Our biggest struggle are the 5 non readers we have. It seems our entire day is split, essentially voiding the coteaching model. Any helpful info? TIA! Hi Leslie, to be honest I haven’t been in that situation, so my ideas might not be specific enough. I did have a handful of ELLs that did not speak any English, so I really tried to utilize peer translation. I know this is very different, but my first thought would be thinking about how you can incorporate some of your stronger readers to help. If you are pulling students in small groups, then you could utilize that time to focus on reading skills and comprehension. I wish I could be more help! Great ideas on differentiating instruction. Do use exit tickets as formative assessment and give a more formal test at the end? I always give a unit test, but the exit tickets help me to keep tabs on how everyone is doing before the test arrives. Thanks! Do you actually have the form available that is shown in this post? Very simple but good for documentation with tiers without a hassle. I thought that would be good in an evidence binder when summatives roll around. I love your suggestions! I was a general Ed. teacher who then became a SPED teacher. 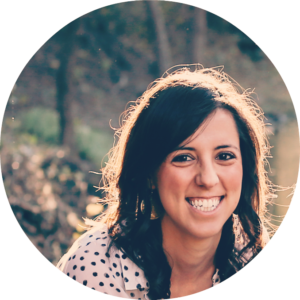 I co-teach with my gen. Ed. teacher, and we constantly practice the rotation model as we co-teach. We practice the one teach one assist as well as the parallel teaching model of co-teaching. I include students without IEPs in my group in order to help educate them at their instructional level. My gen. Ed. partner is great, and all the students see me as one of their teachers. Having a general education background has helped, because I am able to view the academic landscape through dual lenses. Thanks for your suggestions! This is fantastic! I love how well this is working for you! 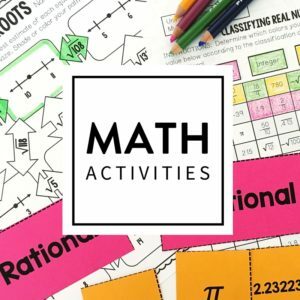 I teach a multi-level (grade) math pull-out class. How do you organize your resources? I currently pull from 5 different grade level TEKS and cannot figure out the best way to manage the organization / filing / etc… LOVE your site! 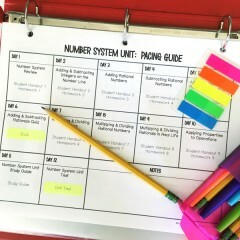 (I am using your guides for unit planning as well). Thanks for helping us all out! Hi Amy! I would try a binder with plastic pocket dividers and page protectors. That way it is mobile. I did binders based on my grading period, but it might make more sense to do a binder for each specific reporting category with a tab for each grade level? Let me know what you decide.